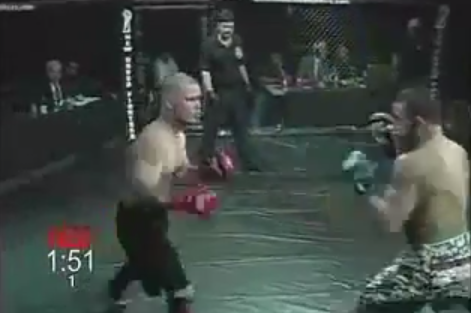 The MMA Journalist: I Bet You Didn't Know Referee Keith Peterson Used to Fight, Did You? Throughout 2007 and 2008, Peterson - who calls Long Island home and has long been a licensed official with the New Jersey State Athletic Control Board - competed in Combat in the Cage, New Breed Fighters and Asylum Fight League. He even had a nemesis of sorts in the form of Tiger Schulmann fighter Jose Villanueva, with Peterson and Villanueva fighting three times. Below is one of their bouts. Watch it, and keep it in mind the next time you see him officiating a bout on pay-per-view, SpikeTV or wherever.